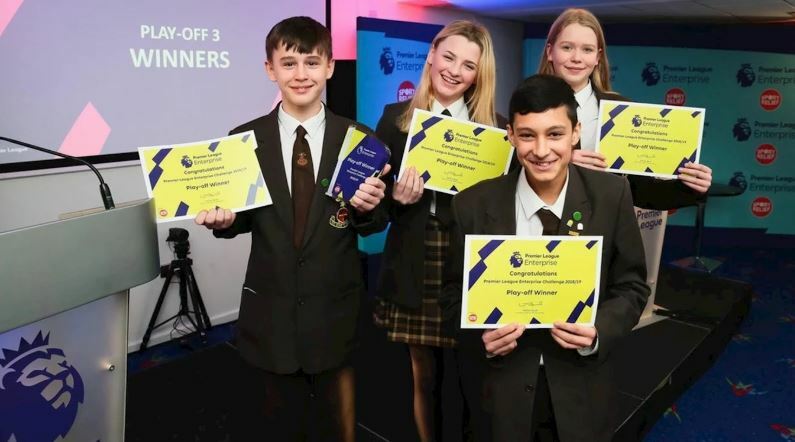 On Wednesday 23rd January 2019, students from Moor End Academy represented Huddersfield Town in the regional Play-Offs of the Premier League’s Enterprise Challenge head here at The John Smith’s Stadium. The students had successfully got through the heats in December and won the right to represent Huddersfield Town in the next round, competing against representative schools from Burnley FC, Manchester City, Hull City, Bolton Wanderers and Blackpool FC. The Premier League Enterprise Challenge require students to develop a business plan and promotional campaign to meet a real life football based brief. This year’s challenge is to identify ways to increase the number of 18-23 year olds who are season ticket holders. Students are required to research their idea, complete financial summaries before pitching their ideas to a panel of judges.